SNORKELING the Big Island’s crystal-clear waters is an easy way to spot marine life. KEALAKEKUA BAY, an UNDERWATER MARINE PRESERVE that is a resting area for dolphins and the site of the Captain Cook Monument, is a popular destination. 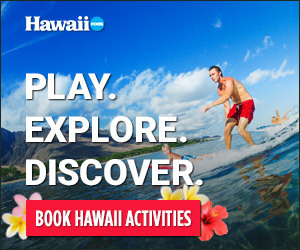 So are the pristine waters off the KOHALA COAST AND PAWAI BAY. Snorkel gear can be rented or purchased. In either case, all you’ll need is a mask, a snorkel and some fins. Gear comes in many sizes and shapes, but be sure you find a good fit. You also can go snorkeling in style aboard a CATAMARAN. This typically includes plenty of food, cocktails, restrooms and lots of flotation equipment. 2. Whenever possible, snorkel in the morning, when fish are more active and water clarity is at its peak. 3. Marine life tends to congregate around structures, so stick to reefs for a face-to-face encounter. 6. Take a small cooler with bottled water and food. 7. Snorkeling isn’t so much about swimming as it is about floating. Stay relaxed, float and kick only when necessary. 8. Be respectful of the ocean. Avoid standing on coral, as broken coral takes many years to grow back. 9. Don’t combine snorkeling with alcohol or drugs.